EVEN if you don’t win a competition, it still shows you where to improve your skills. 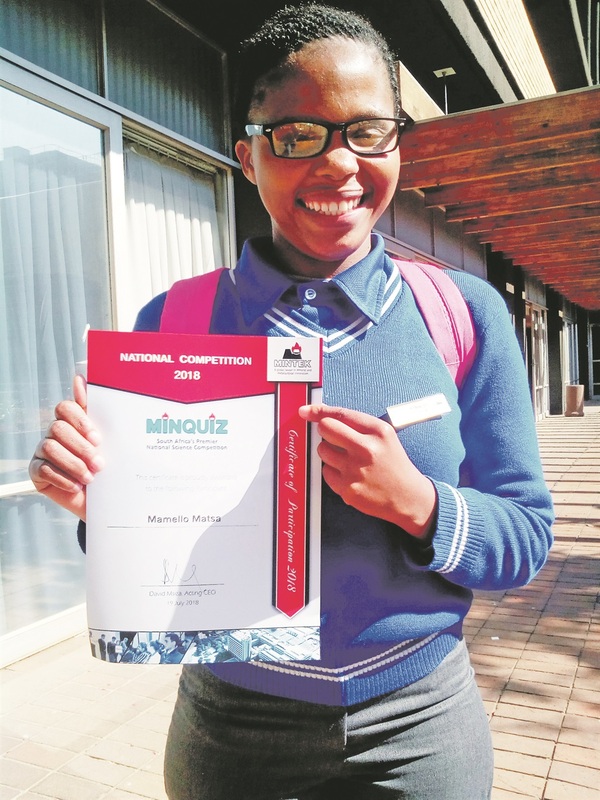 Mamello Matsa (18) sees herself winning many competitions in the future – even if she lost out on the Minquiz maths, science and minerals competition finals. Minquiz is Mzansi’s premier annual national science competition. Running since 1998, it encourages grade 12 pupils to take careers in science, engineering and technology, especially those involving minerals and metallurgy. Mamello said this was the first time she had been in a competition. The matric pupil, from Pele Ya Pele Secondary School in Sasolburg in the Free State, is one of the top three maths and science pupils in her school. Tshumbedzo Rambau (16), from Hluvuka High School in Limpopo, was the overall winner. She won the Top Girl Learner Award as well as a laptop, trophy, certificate and money. The rest of the 52 finalists got Wi-Fi, Android tablets and cash for their schools. Rambau says she enjoys maths. She said her gogo, Flora Makhubela (68), who raised Rambau and her younger sister from when they were young, once told her the only way she can take her family out of the Chavani Village to the suburbs was through education. “She called me before the competition and said ‘Just do it!’.